Each are at their own stage, of their FULL awakening. 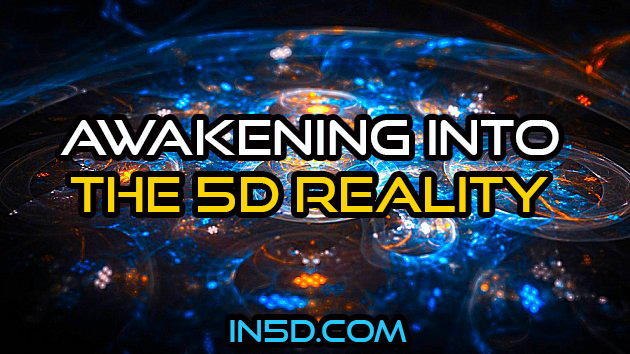 There is ‘awakening’ from a 3D Consciousness perspective that we experience/d in 4D. And then, we enter another ‘awakening’ from 3D / 4D (Ascension Dimension) perspective into 5D conscious perspective. So there are TWO awakenings to this Mass Shift we are in the midst of. The latter is the ‘awakening’ into a 5D reality. An energetic jump. Where no previous way of thinking, talking, acting applies. It is a sudden jump. And landing, is ONLY the beginning of another level. A 5D Level. Another consciousness. Another type of life and living. Whilst there is still memory of our 3D and 4D previous life experience, the memory seems to fade. The details of it fade. Nothing will be the same at Unity Conscious Awareness. It’s new. There’s no going back. After ‘jump’ stage comes ‘life review’. Where we get to see all the poignant moments, of our previous 3D and 4D experience. We peacefully, in balanced state get to see that all we thought, said, did, in 3 and 4D, we did unto ourselves. We get to see that every one IS us. We get to understand that our Higher self created each scene, precisely, perfectly…in order to simply PRESENT the opportunity for each person to notice certain deep human patterns within us, that we lived by. To clear them and rise a bit higher. Then further more and mor as we continue to clear each pattern. All people that played their part in hurting us, triggering us, all main life circumstances and situations that we went through, all were designed to FIRST experience, then wake up, then SEARCH within and see our OWN patterns, to clear, undo, and clear them. For our goal, our reason for coming here this incarnation, was not to stay in 3D or 4D. But to enter and live in 5D. To do so, we could not (can not) take any lower frequency energy with us. Because 5D has its own frequency bandwidth, which doesn’t include some of the lower dimensional frequency energies (measured in Hz) that are available to experience in the 3rd and 4th Dimensions. So the patterns have to be cleared, hence the so called lessons. They are not ‘lessons’. They were all gifts, for the individual to look within themselves, just themselves, and clear. Arriving in 5D, we quickly KNOW, see, feel, that every single human being we met in this lifetime, is us. They always were. It was NEVER about them, what they did, said, thought, or their perspective of us, it was ALWAYS about HOW we reacted to each encounter or circumstance. We just didn’t know they we us all along, or believe it. How could we, when we all experienced within an energetic field whose parameters of energetic fields ALLOW us to have the EXPERIENCE of separateness, in a slowed down reality (time was added). So whilst we could ‘learn’, read, hear that 3D and 4D was a separational Light field, we can not EXPERIENCE anything other than separateness, this and that, whilst we were experiencing being human within those frequencies and energetic laws. When, via meditation and other means we are able to raise our frequency, we experienced temporary moments of ONENESS. And NOTHINGNESS. But being in physical body, the only way to experience the human body’s PERMANENT state of UNITY, in 5D, we had to raise the energetic frequency of the physical human energetic vessel. To do so, we worked on the 3D patterns within us that created lower frequency beingness. As we cleared, we absorbed more energy gifted via our Stargate the Sun, and were able to absorb it, thus raise our human physical frequency to then bring ‘online’ our light body. And then EXPAND our awareness of our light body. At 5D, we are able to observe and thus ASSIST human beings at unawakened 3D frequencies and the awakened 4D frequencies. We can only assist. That is, we can not create with human beings other than those human beings already in or arriving in 5D. This is governed by energetic laws of how our energies can/can not work. It’s not a human choice, it’s how energy parameters work. It’s magnetic and electric. This is why I have never created any more than this one Facebook Wall, for I knew I was to wait, to create only from 5D and above. In terms of assisting people whose frequencies reside within the bandwidth frequencies of 3D and 4D, we know who can be helped when they ask us, and who is not wanting help, and who is not ready to be helped even if they ask. Free Will choice just IS, for each in 3D and 4D, behind the veil of the laws of energetics. 5D, energetics becomes more and more known. In a sense there is more choice of what to create and experience, yet it is governed by energetic laws that are KNOWN and EXPERIENCED by. Which means we can only think, speak, do for the WHOLE, and for the highest outcome for the WHOLE. So the difference is that each individual in 5D works with their consciousness as One unified way of BEING. Energy is more visibly seen. Becomes more tangible to human touch as we acclimatise a bit at a time, yet the learning is quicker than 3D/4D. More is/shall be heard telepathically and also with the human ears that absorb vibrational sound. Where it is not what a person says that is the focus, but the energy behind the words that the 5th Dimensional human being now starts to learn EVEN MORE about and then can integrate that and live by that primary focus, that which is ENERGY. ENERGY becomes the primary way and focus in 5D. Energy does not lie, it is not false, it is not judged, it is just ENERGY, it is variable frequency of Hz being witnessed and experienced. In terms of assisting others experiencing 3D and 4D, it is clearer, because of our energy awareness and increasing abilities as we go, that come more and more ‘online’, we can observe, and we assist where a human ASKING for help is matching the frequencies for an assistance. It’s a TRINITY of energy that when aligned, as a Trinity, allows for divine assistance to take place energetically. The TRINITY aligned is: 1 = Willingness and heart Gateway openness of the 5D human assisting. 1 = Willingness and Soul alignment of the one requiring assistance. 1 = God’s Will creates the energetic exchange / activation. This equation that allows for implementation of ENERGETIC divine assistance, is also the same equation for CREATING in alignment with God, within the 5D environment. Where human frequency attracts human frequency to work/play with, that then allows for the Will of God to come forth, through human brain activity to create forth, the Divine Will of God. It is an equation that encompasses by default, a divine alignment with GAIA’s 5th Dimensional Blueprint. Some of you will know that Gaia showed me her 3rd and 5th Dimensional blueprints last year. 5D human also aligns, honours, creates by default, with all kingdoms, all realms. The TRINITY aligns to co-creation with higher dimensional galactic beings at perfect timing and Mass timeline. All is pre-ordained, beyond the human, yet it unfolds for humanity, one step at a time, by the human Will. There is no rush or pressure in 5D, only alignment, presence, and flow in the NOW moment. There is much to now learn in 5D. Much more, far far more to embody for any 5D human being. It is like stepping into a brand new level, almost a brand new life. I am aware there are human beings already in 5D. Many many many more shall arrive at their perfect timing. I have only just arrived. So only know what I know as it unfolds. So I will keep sharing here and keep assisting as I can. People who have followed this wall for some years will know that I have always had several definite knowings that my life path is multi-faceted. So a few roles to play out as we go will unfold. That my main reason for coming to Gaia, was not as a Wayshower. That I had to wait for certain stage (embodiment stage to 5D) before my main work/play kicked in, to CO-CREATE for and with the WHOLE, with assistance from humans, galactic and Source. I will need to spend time acclimatising to 5D Gaia, my body, and absorb the increasing knowledge and physical skills that increase for this physical vessel. Work with my light body. And then, start to CREATE, using the 5D divine laws. I will continue assisting here within my capacity, staying true to LOVE for ALL, my path and purpose, as we flow together, as ONE. I appreciate this may be a long post, but I’m literally just touching the surface…. I hope this information about 5D helps, gives strength and courage I am trying to pass on. If I can do this ascension thing, any human being with internal WILLpower, absolutely can. Keep going. Find your peace, it’s already there, inside you.